Imagine arriving fresh at your destination, regardless of the time zone. Now you can with Stop Jet Lag. 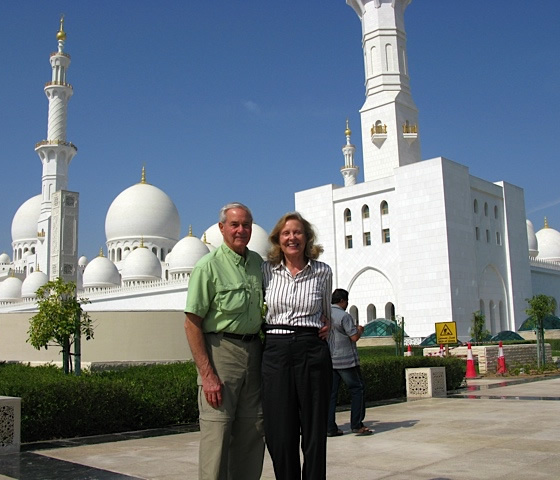 Stop Jet Lag offers an easy-to-follow, individualized plan for your specific itinerary. The plan is based on a natural approach to safely and effectively reset your body clock by correctly timing your intake of food, drink, sleep, bright light and optional melatonin supplements. There's no guesswork. And mobile alerts make it even easier. Thousands of travelers have successfully eliminated jet lag. You will too or we'll refund your money. No questions asked. Whatever your final destination may be, here's what you can do before you board the plane to make that trip more seamless. "SYNC UP WITH THE TIME ZONE. 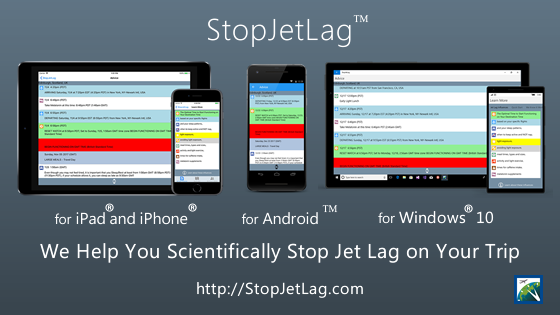 Jettison jet lag by following the personalized schedule for your itinerary at StopJetLag.com. You'll get an hour-by-hour plan that includes when to eat, rest, exercise, and get sun exposure so you'll be right in step with your destination's local time." Once you’ve purchased a plan you can conveniently use it on any of the following platforms from our free mobile apps! Curious? Learn more about what our plan does and how it works! Don't let jet lag interfere with the enjoyment of your holiday or affect your productivity on a business trip. Order your customized stop jet lag plan today. It's quick. Easy. And at $45.00, it's an incredible value for the money. You have nothing to lose with our 100% money-back satisfaction guarantee. Just read our testimonials!